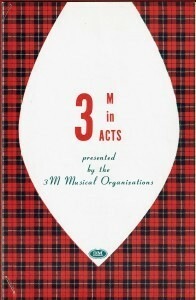 The 3M Symphony Orchestra was organized in the summer of 1956 and became an activity of the 3M Club, sponsored by 3M Company’s Employee Recreation Department. 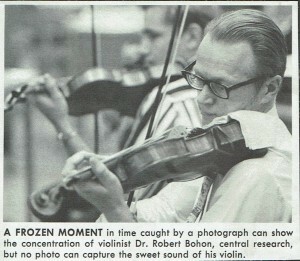 It started out as a small string ensemble and by 1957 had grown into a full concert orchestra. Every player was connected to 3M, as an employee, retiree, family member, or friend, and they were all amateur musicians, practicing and playing on their own time. They all shared a deep appreciation for music and a desire to make live music available to everyone. Their first public appearance was with the 3M choruses and band at the 3M Spring Music Festival on May 23, 1957 in the St. Paul Auditorium under the direct ion of conductor Raymond Cutting. 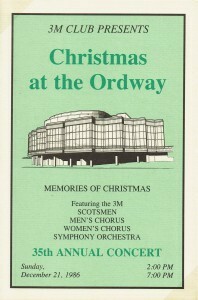 From the very beginning the orchestra performed traditional orchestra repertoire, along with lighter music from popular musicals, and, although the orchestra soon began performing solo concerts, the 3M musical groups continued to perform together in annual Christmas concerts that spanned nearly 40 years. Throughout its life the 3M Symphony Orchestra had many dedicated members and leaders, and that same longevity has continued even as the East Metro Symphony Orchestra. Since 1957 this organization has had only six conductors and five concertmasters and members that have been with the group for over 40 years. We love music. That’s the common bond. As a group you can generate symphonic music, but by yourself you can only play solos. We just enjoy creating harmony. In the mid-1960’s, the orchestra performed several joint concerts with the Bethel College Orchestra, a collaboration that introduced the 3M Symphony Orchestra to two conductors that would lead the orchestra for the next decade, Joseph Jung (1965) and Julius Whitinger (1970). Additional partnerships grew in the 1970’s with the orchestra performing concerts at the Lakewood Community College from 1974 to 1993 under the sponsorship of the White Bear Arts Council. During this time the orchestra and the St. Paul Piano Teachers’ Association held an annual piano competition that had high school students performing their winning concertos with the orchestra, and the orchestra regularly featured several vocal soloists: Marshall Christensen (1973-79), Susan Sondrol Jones (1975-81), and Thomas Vaaler (1978-85). Under the direction of William L. Jones from 1975 to 1987, the orchestra performed outside the metro area. Traveling to neighboring states, the orchestra performed in eight communities, in four states, with 3M manufacturing plants. The orchestra also gave the dedication concert for the “Harry Stern and Ella Stern Cultural Center” in the Adolph & Nina Torguson Auditorium at the North Dakota State School of Science in Wahpeton, North Dakota. 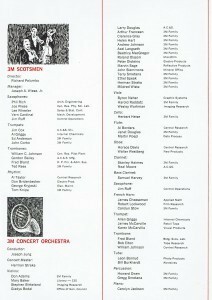 In 1985 the 3M Club Symphony Orchestra was one of many groups which helped open the new Ordway Theater in downtown St. Paul, playing to full houses. It is not just being the spectator, not just going to a concert and listening. They themselves have the opportunity to play and participate in music making, and I don’t think we can ever know exactly how important that is to someone’s life. In addition to the concerto competitions in the 70’s and 80’s, the orchestra periodically featured orchestra members, 3M employees, and children of employees as soloists with the orchestra. Elizabeth Prielozny Barnes, who became music director in 1999, took this idea one step further and instituted the popular Home Cookin’ series, an annual concert devoted to featuring members of the orchestra as soloists and in small ensembles. 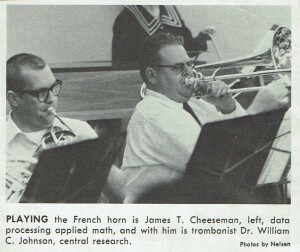 The orchestra had a long history of serving not only its members, but the communities that it performed in; performing benefit concerts for various groups including Camp Needlepoint (a unique recreational and educational experience for diabetic children), Dakota’s Children, United Cerebral Palsy of Minnesota, and Minnesota food shelves, as well as bringing music to local St. Paul schools. Show EMSO you care! Donate today through GiveMN.org. 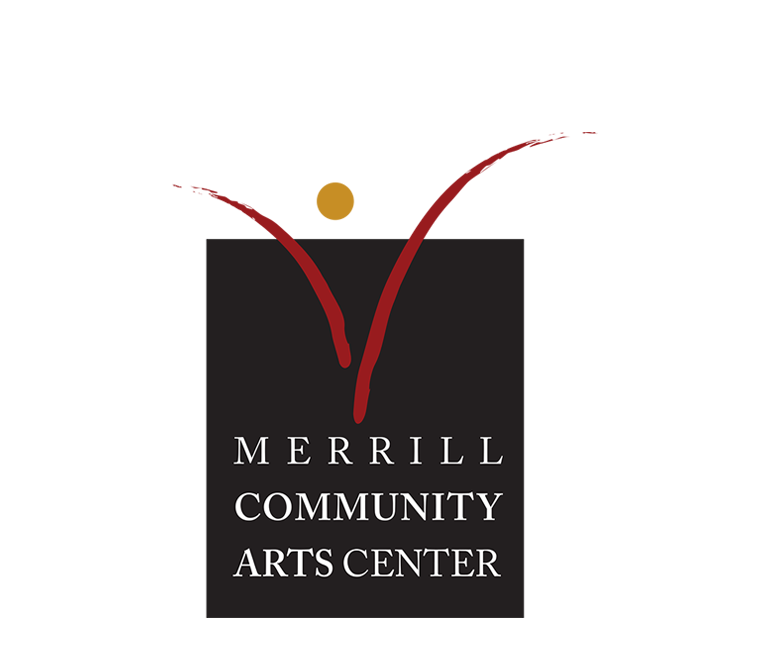 EMSO is a proud affiliated organization of Merrill Community Arts Center. EMSO is a Woodbury Area Chamber of Commerce member. •	1972 – Benefit concerts for Camp Needlepoint, for diabetic children and Dakota’s Children, with West St. Paul Police Relief Assoc.